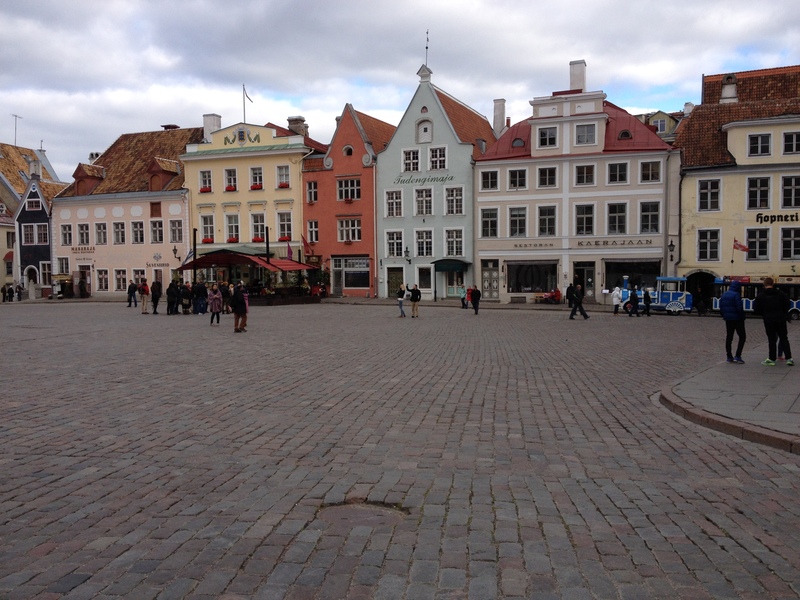 A 15-hour (overnight) ferry ride east from Stockholm, across the Baltic, will take you to the storybook town of Tallinn. The capital of Estonia, Tallinn, is a charming, well-preserved medieval city that hints at both its Nordic roots and post WWII Communist Era Russian control. 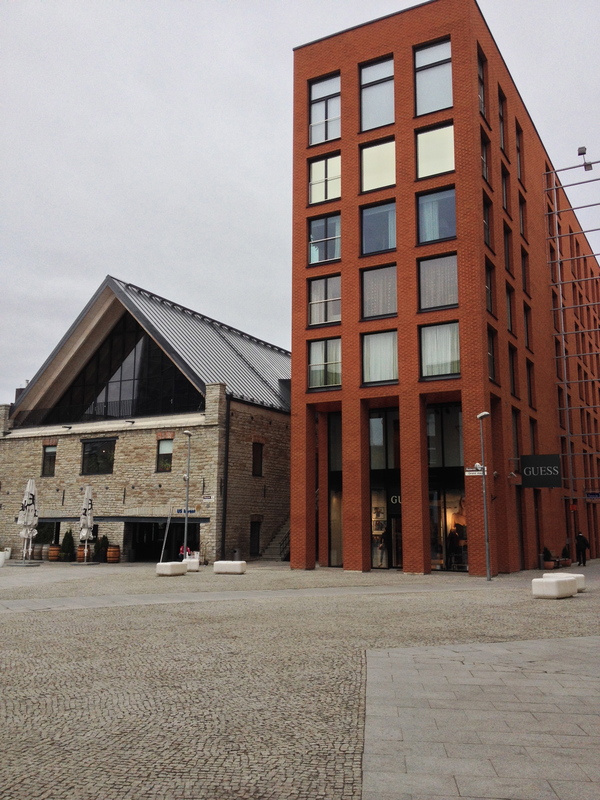 …very modern structures incorporating the new and old Estonia. 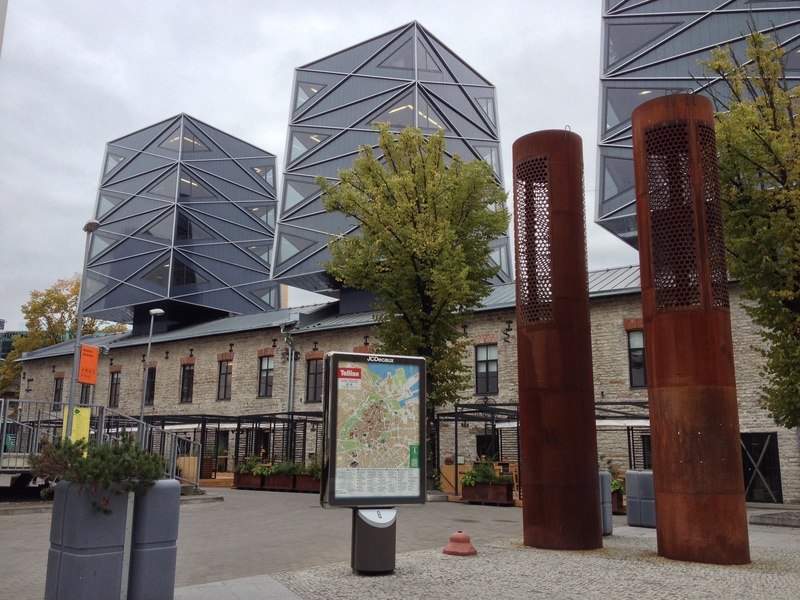 In 1991 when Tallinn gained its independence from Russia, the city of 428,000 began rebuilding and modernizing, mixing brick and mortar with glass and steel–very hip. The shopping, while not cheap, was reasonably priced in Euros, (Estonia became part of the EU in 2004). There were lots of great places to browse, including extremely fashionable clothing boutiques. 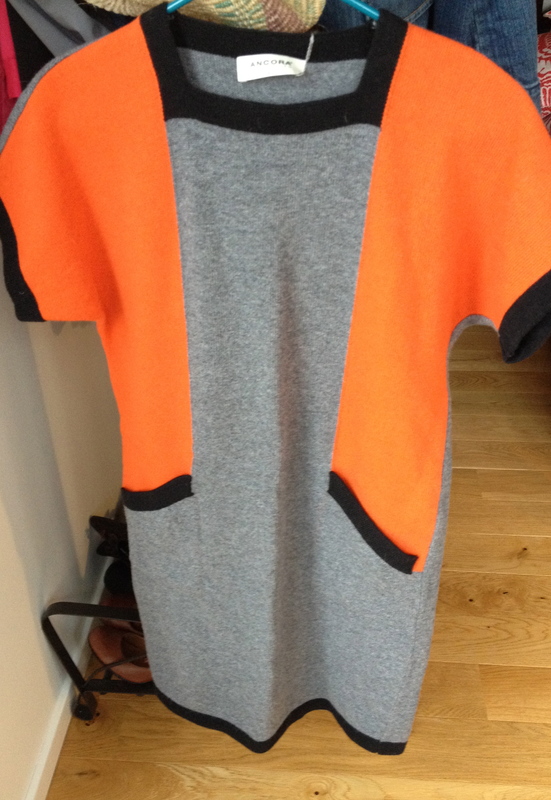 Here’s a dress I bought for under $80.00 in a blend of soft wools, perfect for winter. In Tallinn you can buy almost anything made from pure lamb’s wool: gloves, children’s stuffed animals, sweaters, skirts, hats. 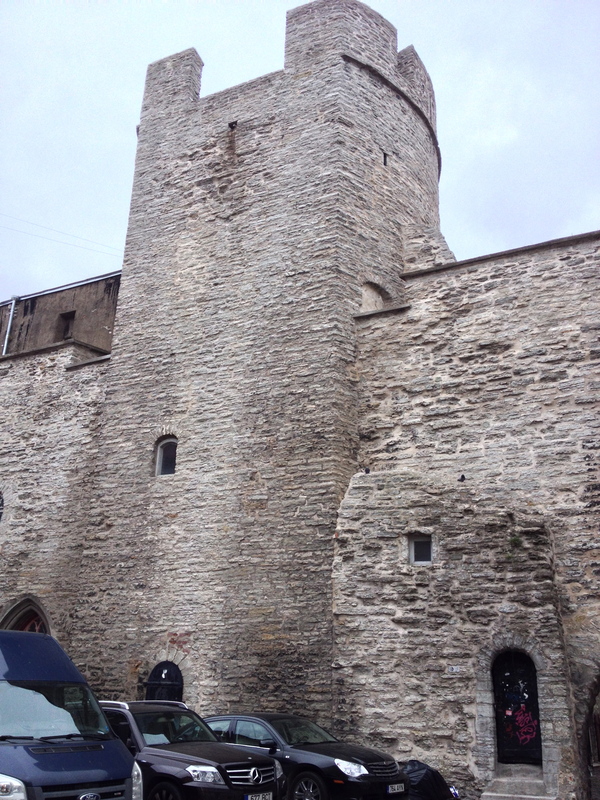 In 1997 UNESCO added Tallinn’s Old Town to their list of World Heritage Sites. As the oldest capital city in Northern Europe, Tallinn, once known as Reval, dates back to the 13th century. 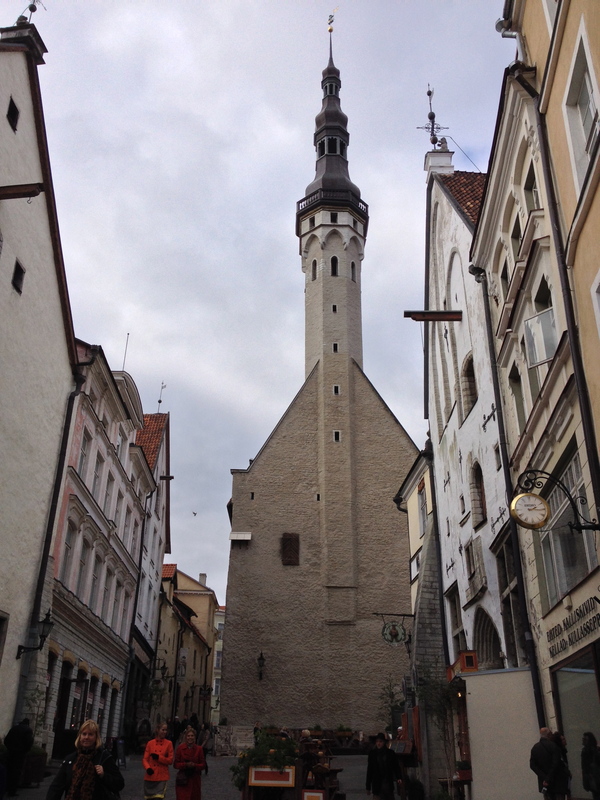 Here’s one of 26 watchtowers surrounding the Old Town. 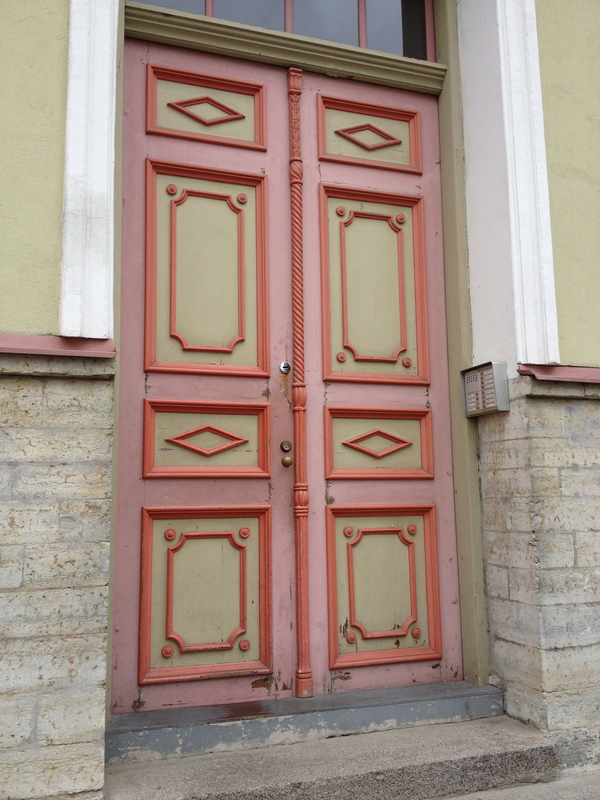 There seemed to be churches and cathedrals everywhere–Lutheran and Russian Orthodox. 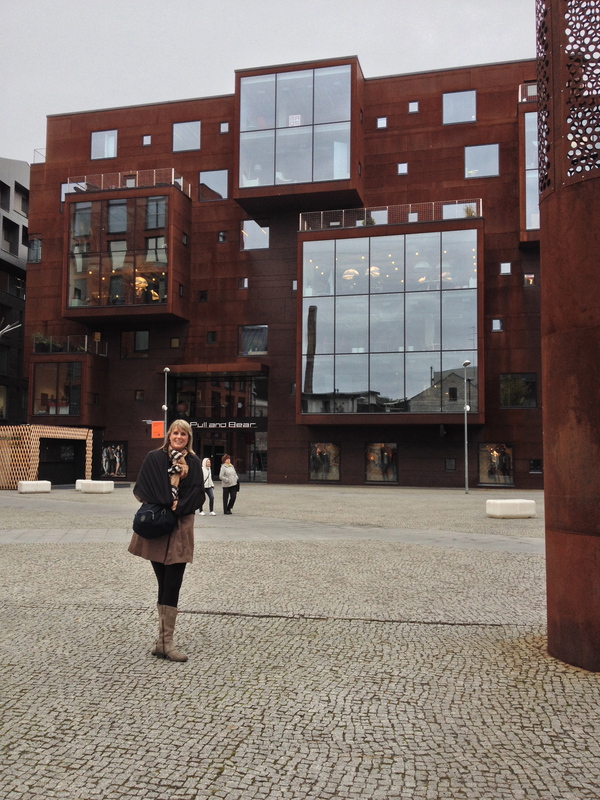 Pictured below is the Gallerian Haus and the work of Jaanika Peerna. 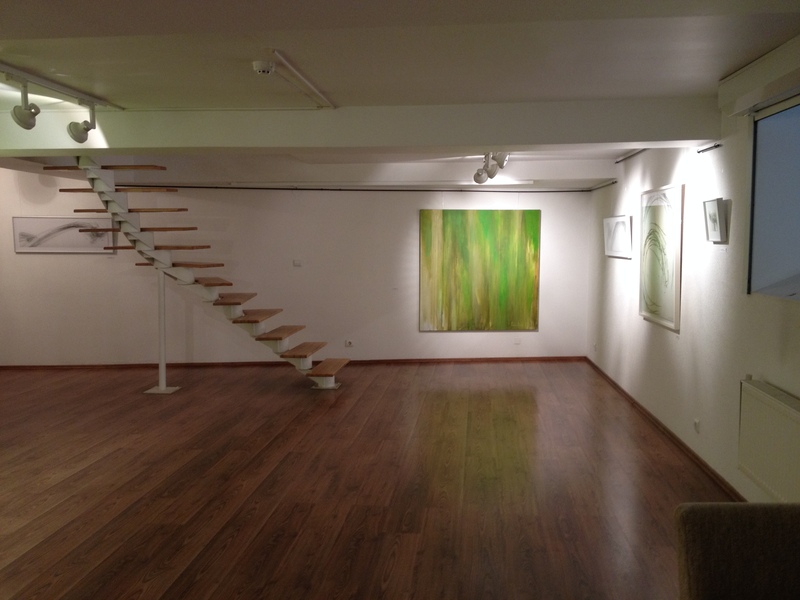 The gallery was in an old village cottage, but the inside was über modern. For lunch we stopped at The Olde Hansa. The smell practically yanked us in. Outside the restaurant stood a girl in a tunic and floor length skirt wearing a head scarf, roasting fragrant cinnamon spiced almonds, (yes I bought a kilo to take home). Inside the wait staff maintained the Old World traditions of service: kneeling table side, regaling us with tales of gossip, speaking in Old English as we perused the 12-page parchment menu. 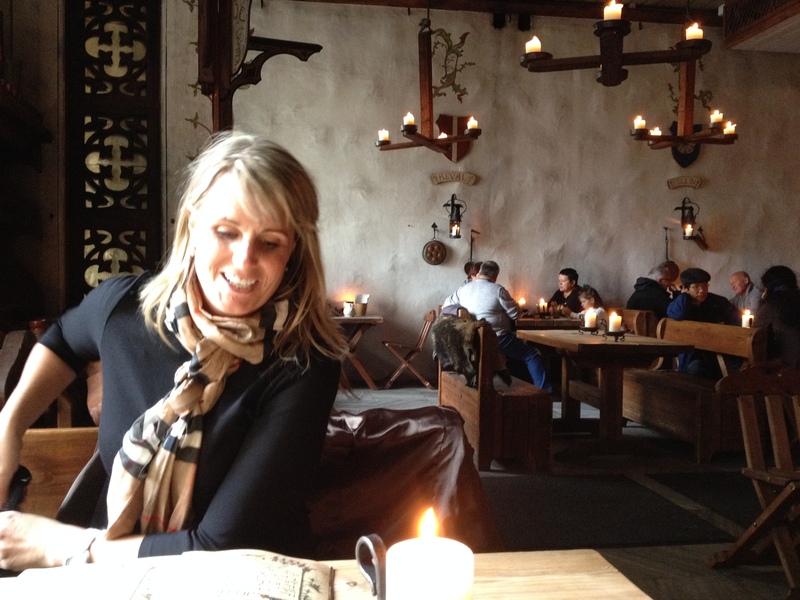 As you can see (pictures below), the ambiance was Old World too–no electricity, just candles. I almost tripped on the uneven stone floor on the way to the toilet. Thank goodness they added modern indoor plumping! After nearly eight hours of traipsing around town, we headed back to our ferry–the Baltic Queen. Ten decks high, the 4-year old ship had a supermarket, 6 restaurants, a disco/bar and a two-story stage called the Starlight Palace. 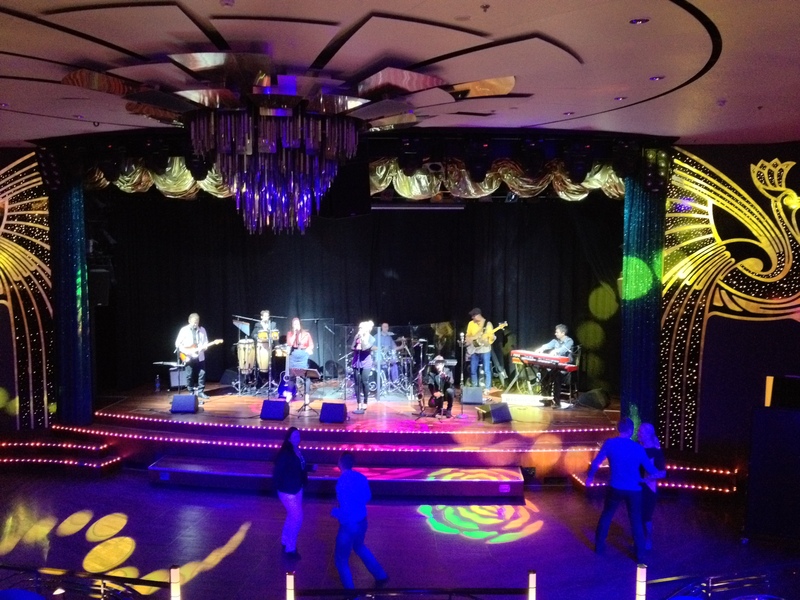 We spent the majority of both nights at the Starlight Palace, enjoying the 8-person Hungarian band performing American pop/rock tunes. They were amazing!! And so was the UK Live Performance Band headlining both evenings with a tribute to Lady Gaga (the first night), and Robbie Williams (the second night). Mind you I could have done without the LG cone bra, but that’s my personal taste. My friend and I had a fantastic girl’s trip get-a-way. While the rooms were tiny (like most cruise ships), the accommodations were clean and the food was excellent. We were gone long enough for the kids to miss us (and more importantly, for us to miss our kids), which is a storybook trip. Thanks Lana. 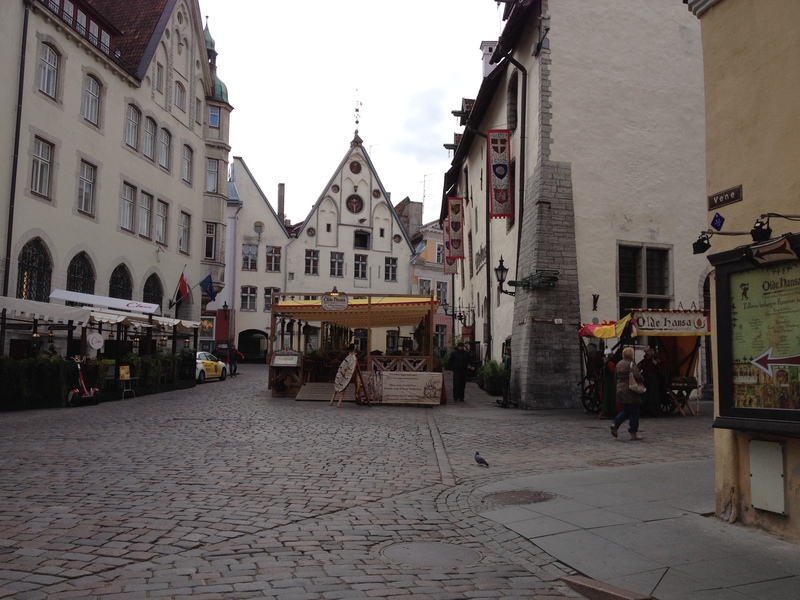 I’ll visit Tallinn one day again. I visited their outdoor museum and I love it. Thanks Citania, I didn’t visit the outdoor museum yet. Sounds like I need to. 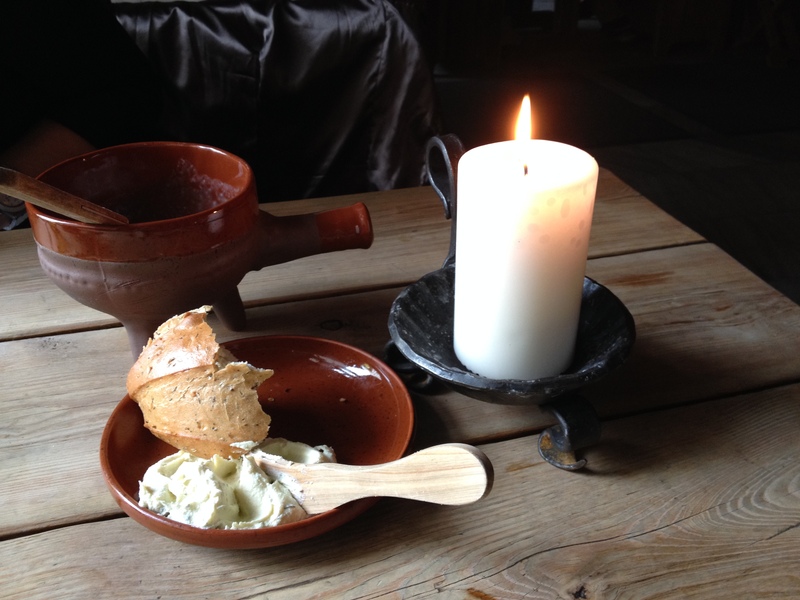 Tallinn is one of those places you can visit again and again and still discover more–I love that! It looks like a Fairy Tale city. Would love to go there some day. Glad you had such a good time!!! Thank you! There was a lot I didn’t yet explore. I suppose that means another trip in my future. Love to you!! 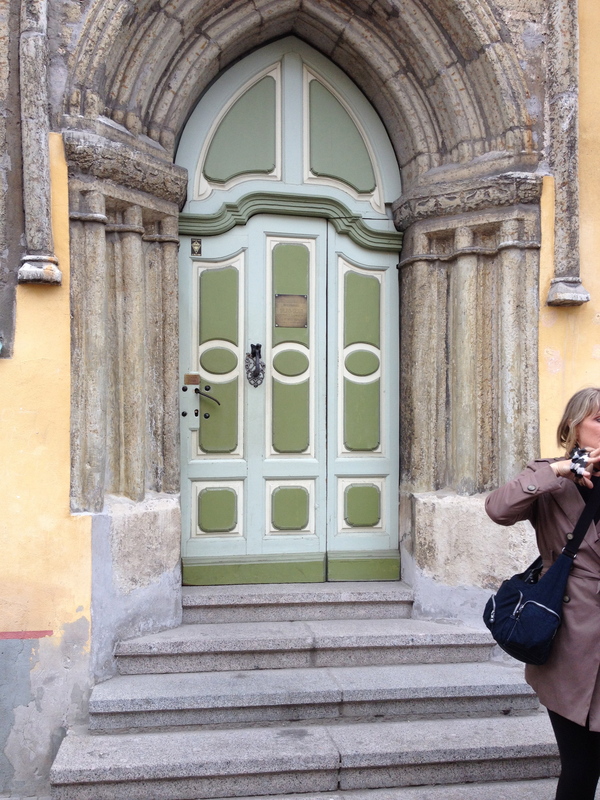 I remember all your wonderful stories of Tallinn. It definitely lived up to my expectations and more. Hope to see you soon! Jim is going there in a couple of weeks for a 2 day work trip. It looks like I might just have try to tag along on that trip!! That is just gorgeous. I’m glad so see so much of history survived the Soviets. They are very proud people, aren’t they? Yes, yes, our trip was every bit as magical, Lana! Thank you for the written and photo narrative (altho where are the darling pics of YOU?). I hope to never tire of the thrill of changing centuries by mere footstep. Or the even more exciting mix of the old and new architecture – I’m so glad you included that – done so cleverly and w/a bit of whimsy. 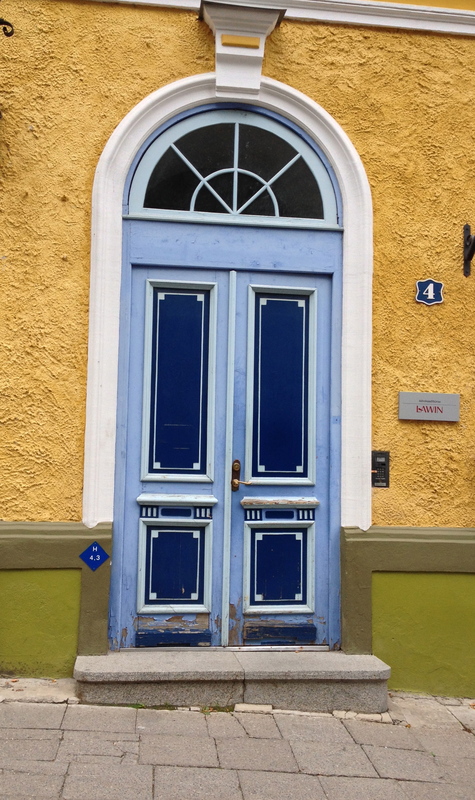 There truly is something new to be discovered around every corner in Tallin…found out not ONLY because we may have been slightly lost…looking for the chocolate shop…for an hour… :). So, while folks around here run to Las Vegas for the “perfect getaway-weekend,” I have never prescribed to that variety of “entertainment.” I may be the luckiest gal in the entire world! And I haven’t even touched on the rockin’ cruise, the awesome cover band, and oh, the food! Or the fact that all of this would have paled, had I not experienced it with the most generous, most brilliant, most beautiful friend a girl could have. Thank you, again, Lana. Thanks for waxing poetic (and maybe exaggerating on that last bit). It was the perfect trip, despite the fact we never did find that darn chocolate shop!!! Forget diamonds, YOU are a girl’s best friend. Couldn’t have rocked the night away without you. Thanks for coming all the way from Cali!! I love ” traveling” with you! As always, you beautifully captured your little vacation with your friend–and I was right there with you, enjoying every moment thanks to your narrative. Lovely. Thank you Polly! Had I been writing while in Greece I would have captured in words our lovely afternoon at the taverna in Plaka. Still one of my most treasured afternoons!! Thank you so much for posting. I really enjoyed seeing your work and appreciate you posting the link to your site. I look forward to visiting with friends!